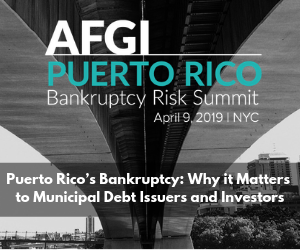 AFGI is the trade association of financial guaranty insurers and reinsurers of municipal bonds and other types of public and private debt. AFGI members, also known as “bond insurers” or “monoline insurers,” guarantee the timely payment of principal and interest as due on insured securities in the event of a payment default by the issuer. Financial guaranty insurance saves issuers money, improves their access to capital markets, and protects investors from the risk of non-payment and the burden of taking remedial action, even in cases of municipal bankruptcy.